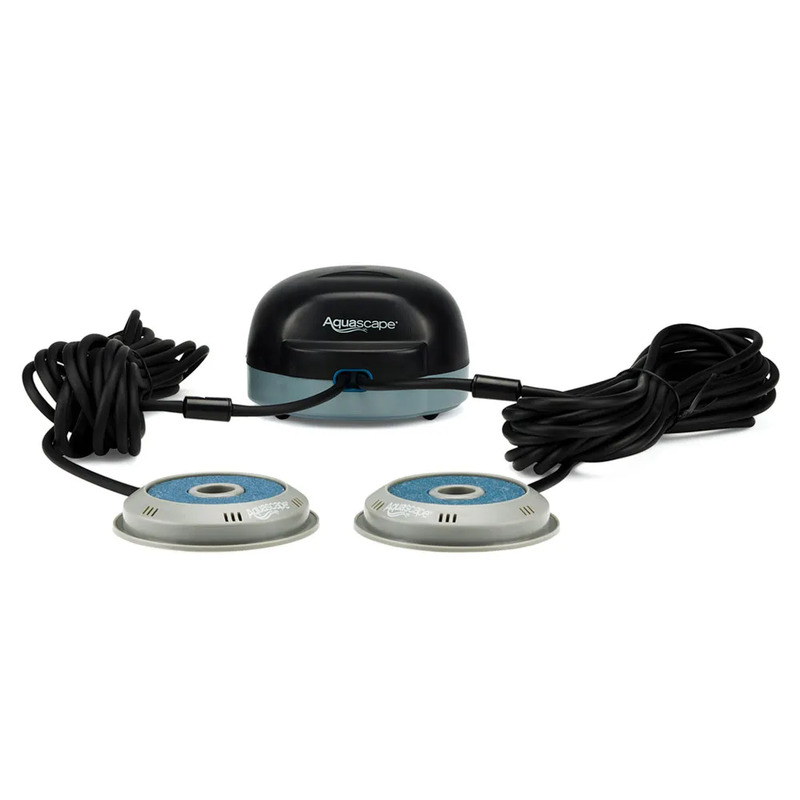 2-Outlet Pond Aeration Kit - Aquascape, Inc. 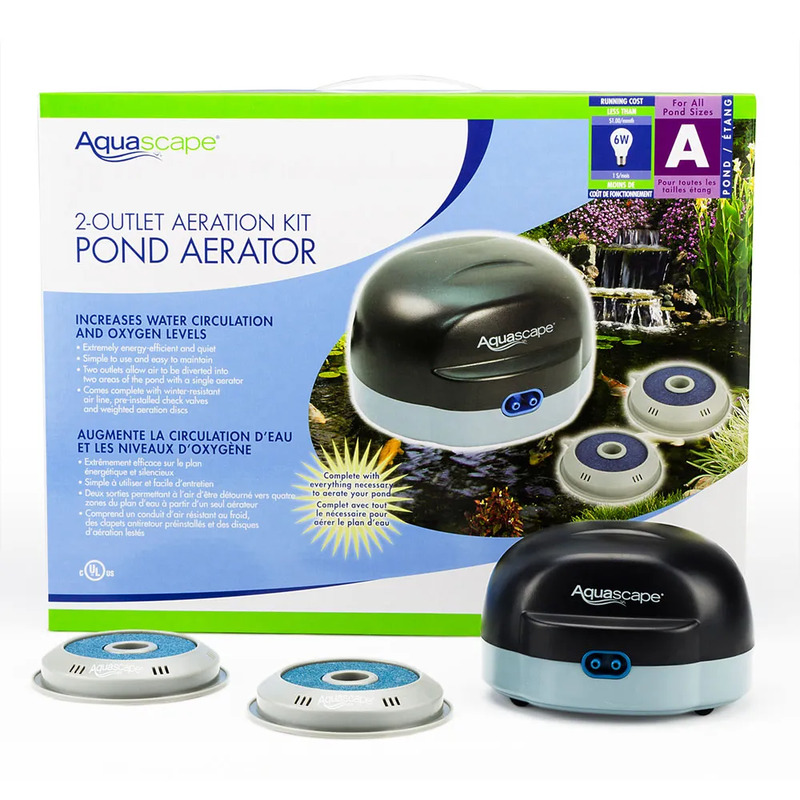 The Aquascape 2-Outlet Pond Aeration Kit effectively oxygenates ponds, helping to keep water healthy, clean and clear. Every process that occurs in your pond is dependent on oxygen. This is especially important in warmer temperatures or at night when plants are not converting sunlight into oxygen. 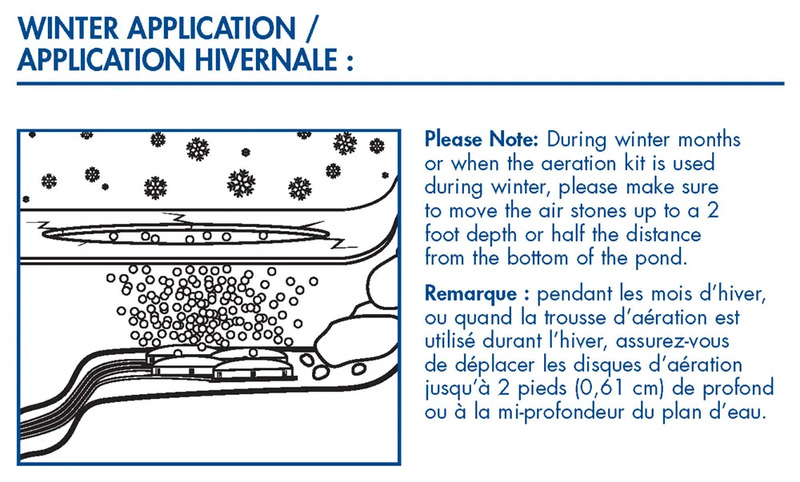 Aeration can also be used during cold winter months to keep a small hole open in the surface of the pond, aiding in de-gassing. 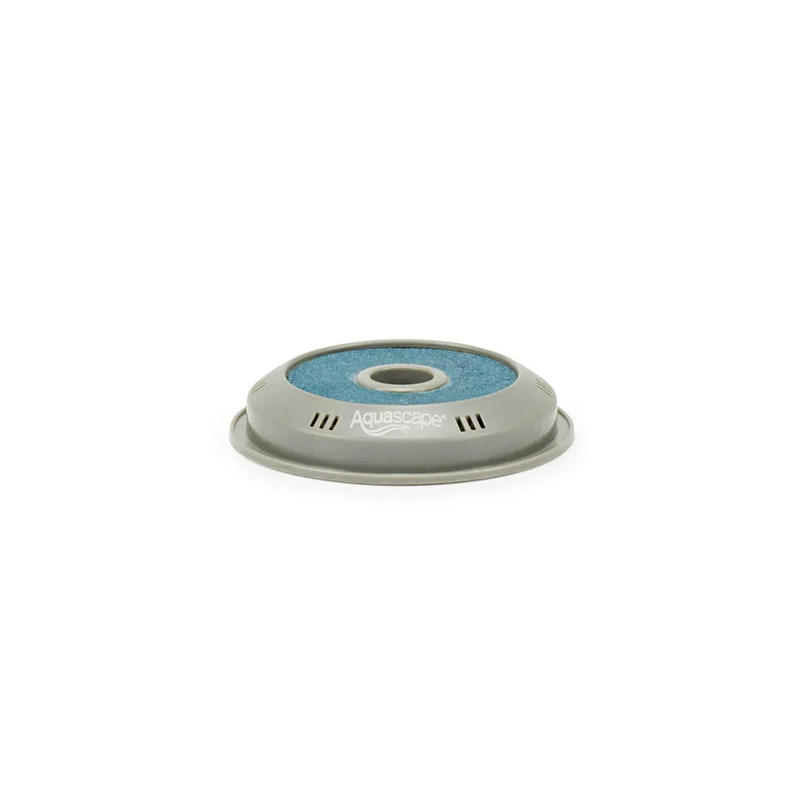 The quiet and energy-efficient design of the Aquascape 2-Outlet Aeration Kit will provide years of trouble-free operation and comes complete with everything you need, including winter resistant airline, preassembled check valves, and four weighted air stones. The kit is extremely easy to install and simple to use and maintain. The 2-Outlet Aeration Kit also carries a 3-year limited warranty.